Visitor is reading What is Dream??? "Now, the problem is such that he (Rohan) does not even bothers to take out his books from the school bag once he comes home from school and straight away looks for the smart phone and watches youtube." said Raman Thapa of Satdobato, Rohan's dad. Rohan studies in grade four. Worried over his son's declining interest towards his studies and his detached habit, Raman one day took Rohan to a private hospital for medical examination. The doctor at the private hospital referred him to the Mental Hospital at Lagankhel and Raman brought the child at the mental hospital last week. Even teachers at Rohan's school had noticed the change in his behavior, according to Raman. Only when the doctor at the mental hospital examined Rohan he came to know that the change in behavior was due to the youtube addiction. Thapa is but one among the many parents in urban areas of the country including Kathmandu valley who are grappling with this increasing problem of Youtube addiction among their children. With the expanding internet access, a growing number of school children are knowingly or unknowingly gripped by this menace of continously watching videos addition. The children start neglecting their studies, don't do their home work and also play less. Their only centre of attraction is to get hold of mobile, laptop or computer and dive into the unlimited world of the web. Many worried parents have been coming to the hospital to see the psychiatrists with the complain that their child has started losing interest in studies, becoming inattentive in school and only spending much time using the internet and social media, the hospital stated. 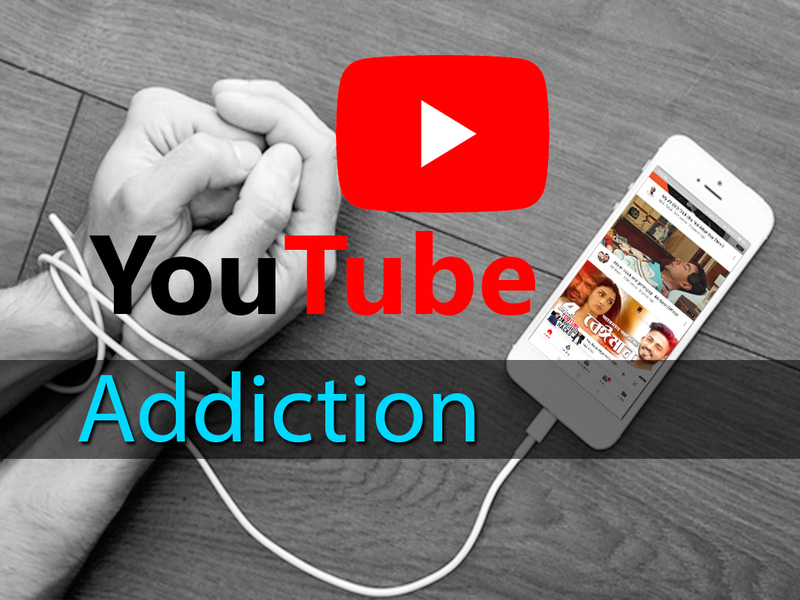 Chief consultant psychiatrist at the Mental Hospital, Ananta Adhikari, said the number of parents coming to the hospital with the problem of their children's internet and Youtube addiction has increased. According to him, this problem is mostly found in children between 10 to 18 years age. Chief consultant psychiatrist Adhikari said although use of internet is not in itself a problem, social media and its excessive use can cause many mental and physical health problems. The children addicted to the Youtube have problems like insomnia, disinterest in studies and lost in oneself, among others problems, according to the hospital. World’s developed countries have already accepted the internet addiction as a problem or disorder of the current generation. In this era marked by the rapid IT development, more and more people are having access to internet facility, smartphones. As Adhikari said, over use of the internet by school students is disconnecting them from the family communications, sending them to the world of isolation. They either do not listen to their seniors or feel irritated to respond to the calls. The situation would worsen if no remedy was sought on time, he asserted. The problem may push the affected into depression and other sorts of mental diseases. This health risk factor should not be overlooked. Overuse is not good for all, but the children are more vulnerable to the internet addiction. 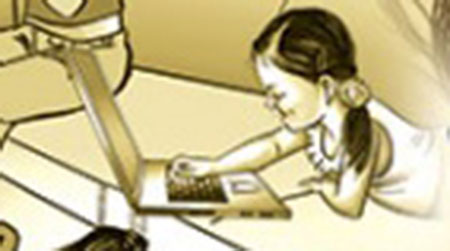 Children below 10 years force parents/ guardians to give them internet devices such as I-pad, smart phones. They behave annoyingly and turn impatient if they do not get such devices whenever they want. At times they can be very demanding. Internet addiction can cause memory loss among the children, thus affecting their study and the future as well, psychiatrist Adhikari said. Internet addiction disorder has not emerged as burgeoning challenge in Nepal as in the developed countries. But with the deepening penetration of internet in the country, the growing number of children coming to hospital lately shows that addiction of the same seems to be hugely increasing among the children. He said, "If we don’t seek to curb the internet addiction on time, the issue could reach a crescendo in future for sure." Owing to the growing Youtube addiction among children, cases of cybercrime involving children were also recorded to have increased lately. The negative influence of Youtube could also instigate children to use narcotic drugs in future too, he warned. This is a joke and doesn't deserve this long article. The article hasn't addressed the income youtube generated for lots of youtube artists. Focusing on the negatives only on any topic is a way to brainwash public. This article is a failed attempt to ban Youtube. Happens all the time in communist country, for instance china banned FB. If you think the money that Youtube artists makes is everything. Money doesn’t give your precious time and years back where you could have been more productive, socially alive and happy, not the momentary happiness watching a funny youtube video. Tea_Talk you too have your opinion, but an Addict or Smoker despite sticking a big sticker on his forehead that says drugs kills or Smoking causes Cancer, he/she won’t stop using drugs or smoke. Those parents with kids these days can only relate to this problem, not the Kids themselves. Those parents may not know there are lots of informative videos and courses in YouTube. Unlike cigarettes and alcohol which are legal and even kids can get those in Nepal, YouTube actually is a good source of knowledge for example, I was interested in aquaponics and I found loads of videos on YouTube regarding this. I find this article on My Republica newspaper valid and I fully support awareness like these through Journalism. At least a part of Journalism and newspapers can be used to generate awareness in the society. And Tea Talk good for you, but Kids can’t differentiate what is right and what is wrong. One video after another, from educational videos to twerking, from cartoons to violence, from a searched video to suggested videos and so on, this is Youtube and this is how Kids are addicted. Nowadays even the 5 or 6 years old, they can’t live without watching their favorite Youtuber doing things, Youtuber playing toys and Youtuber playing outside that in actual life all those kids should have been doing instead of watching it on screens. Tea_Talk Sir ji, I want to hear why we should feed kids more and more youtube content and make them living zoombie. Please elaborate. Problem is not YouTube, problem is addiction and lack of parental supervision in Nepal. I dont k ow if you were raised in the US but when I was growing up in Nepal, I wish there was internet and YouTube. Kids back in the days used to spend lots of time just hanging out in the neighborhood and street and get involved in gang fights and drugs. That was all there was for fun back in those days that was easily available. Now a days kids learn how to dance or play guitar. Look up Rahul shah or alisha Sharma on YouTube. They learn to to sing songs like white boy from Kansas when they live in middle of butwal or rap like 2 pac when they live in dusty ktm ,look up unique poet in YouTube. Lots of them learn programming, new language ,dance learn about space and listen to sadhguru and manokranti from YouTube. Its lot better than cutting fingers with khukuri back in the day. Kids need to be taught about self control and time management not blame it o the technology. It's never black and white. Youtube is a great source of knowledge. It's about supervision (if it's kids) or self-control/discipline (if it's you). Like ehho2 said above having more sources to learn new things is never bad. Janne lai Srikhanda najanne lai khurpa ko bid. I admit that Youtube is a great source of knowledge, but Youtube is made in such a way that even a monk would have a hard time self controlling or having a discipline. This is how Billionaires make billions, from Mcdonalds to Youtube without addicting the consumers and making them a regular user businesses won’t be able to generate such huge amount of money. Personally I was addicted too, I used to regret after watching so many videos that how did I even end up watching some stuffs I even didn’t look for. And the list of suggested videos that urges you to play however self controlled you are. The thumbnail that makes you want to click on it or clickbait. The Youtuber you have followed who makes you a sheep for new contents. Kids are more prone to this. Only words isn’t enough to say self control/discipline and supervision. Truth can’t be hidden. Back in days we had TVs to distract us nowadays we have phones and social medias. These things ain't going anywhere but means of tracking the progress of kids or Parenting is always there. If kids are failing in school take away their phones just like we weren't allow to watch TV. Also reward them when they do good in school. Parenting and supervising kids is what parents need to learn and implement them from very beginning of kids life. Stop buying them everything they need and little bit fear is required. Instead of lamenting on technology Patenting lesson is what should be taught through news, TV, advertisement or Parent day in school. Itahariko finally made some sense. TV’s are still there, but this time there are smart TV’s and it is used to play Youtube videos through Smartphone casting for kids except sleeping time. I have seen this in every Nepalese family house in US. Don't describe the problem.There were problems then and there are problems now. Without good parenting it wouldn't have been any different before then is now. Excessive sugar is bad for you, and diabetes is a big problem now in Nepal, where rice and potato is staple food. Does that mean we should ban sugar? If we keep on addressing only negatives, we wont have anything left, as i said before. Even alcohol, i'm not against it, neither i'm for it. I enjoy it on occasions and in moderation. Regarding kids, as many friends suggested , banning is not a solution, public awareness and good parenting is the solution. Whether you like it or not YouTube is not shutting down after seeing our discussion in sajha and going away. Those who need self control and parenting let them get those but those who benefit should have right to use it. Personally I am addicted to sajha.com more than YouTube since I saw sajha in a lonely computer lab of north west USA in 2001. Does that mean I can tell sajha to shut down because it has become an addiction for me? I don't think so. What goes in your head you are sole responsible for it. While we were talking, PUBG got banned in Nepal. Bhichara haru, aba back to candy crush. Bravo! Nepal government and Sir K.P Oli. I am more than delighted to hear this. Look forward to more progress ahead. Foreigners admire and respect our Nation Nepal for being so spiritual, religious and peaceful. We should not let the western culture effect our upcoming generations, instead let the Western Culture learn from us. I don't want to be influenced by Western Culture but I would be more the happy to live and work in their land. Wish I didn't had to use any of western tech and use tech only made in Nepal. Nepal ko tech matra use garne bhaye, feri back to chakku le dari katna thalnus sathi haru. Lol, euta sui produce nagarne, ani khokro dhaak diyera matra kati huncha. Not participating is sometimes also a sign of incompetence and Adaptation is the key to survival. Hamro jasto sano landlocked country ma naya tech sanga side by side chalnu nai samajdari huncha. Ahile slowly people in youtube are making some money and gaming industry is massive, look on the bright side, you can make a living by being a professional gamer and may be make more than sports athlete in Nepal. If someone wants to explore their path to success, no matter what, whether it's music, sports, games, let them be. This my way or highway attitude is similar to dictatorship.